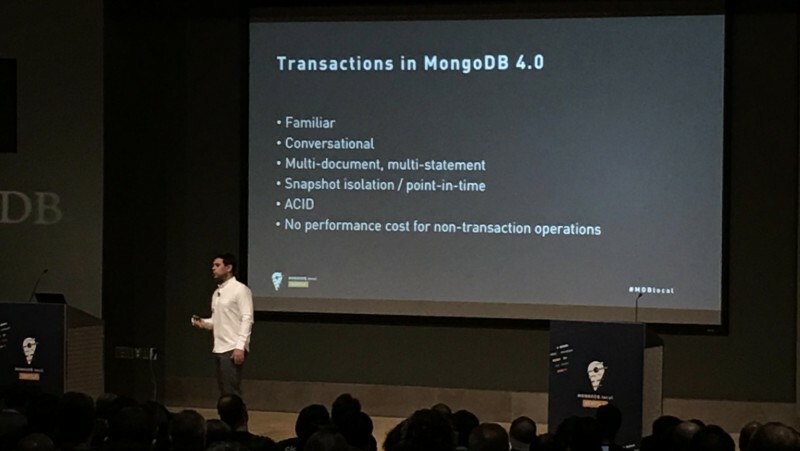 MongoDB To Get Multi-Document ACID Transaction Support — The recent big announcement by MongoDB’s CTO, Eliot Horowitz, was that MongoDB 4.0, due later this year, will support ACID-compliant transactions. You can watch the announcement video here. MongoDB 4.0 will support transactions in a single replica set. A later release, MongoDB 4.2, will then add support for transactions across sharded deployments. Want to get access to transaction support early? You can sign up for the beta. 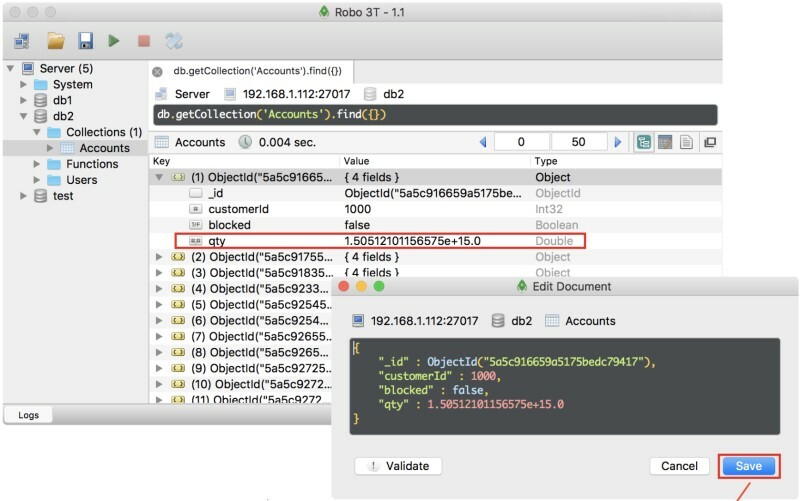 Robo 3T 1.2 Released — Formerly known as Robomongo, Robo 3T is a lightweight GUI for working with MongoDB with an embedded shell. It works on Windows, Mac, and Linux and you can download it here. Designing a REST API with Node.js and MongoDB Atlas — Atlas is MongoDB’s own MongoDB-as-a-Service platform. A Node.js Perspective on MongoDB 3.6: $lookup and $expr — MongoDB 3.6 introduces support for more sophisticated lookups with the new $expr operator. Training Machine Learning Models with MongoDB — Why schema flexibility makes MongoDB a good choice to iterate ML training experiments. Mongo-Thingy: The Most Pythonic Way to Use MongoDB — An Object-Document Mapper that takes full advantage of schema-less design by not asking you to define schemas in your code.